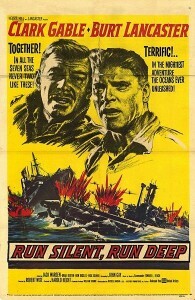 Based on the novel Run Silent, Run Deep by Commander Edward L. Beach, Jr. Following the destruction of much of the American Pacific Fleet during the surprise Japanese attack on Pearl Harbor on December 7, 1941, and the capture of all Allied bases in the northern half of the Pacific, the remaining American ships had to be used carefully. Since the Japanese had to supply their new territories, which were spread out across the ocean, the convoys of freighters, tankers and troop ships should have been vulnerable to American submarines. In fact, submarine commanders found numerous easy targets and would have caused considerable damage to the enemy war effort and hampered the Japanese efforts to solidify control but their torpedoes proved to be plagued with problems. More than a year was wasted first persuading the Navy that there was a problem and then finding solutions. The tide had turned following the battle of the Coral Sea in May 1942 and the decisive American victory at Midway on June 6, but weak torpedoes enabled the Japanese fleet to survive longer than it should have. Once the torpedo problems were resolved in 1943, the American submarines began to strangle the Japanese Empire by sinking the merchant ships needed to supply the factories manufacturing weapons in Japan. Commander P. J. Richardson (Clark Gable) had lost his submarine and most of his crew during a surprise attack from a Japanese destroyer in the Bungo Straits, near the coast of Japan in 1942. A year later, he has a desk job in Pearl Harbor but has spent the past year re-fighting the battle every day. 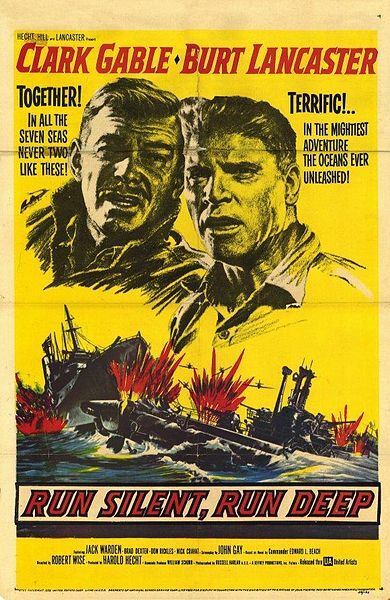 Learning that three more subs have been sunk in the Bungo Straits, Richardson pulls strings to take command of a recently arrived sub, even though the command was supposed to go to Lieutenant Jim Bledsoe (Burt Lancaster), the sub’s executive officer, who is loved by the crew. Understandably angry, Bledsoe tries to transfer off the sub but Richardson refuses his request. When Richardson passes up an opportunity to sink an enemy sub, the crew thinks that he is a coward. However, he soon sinks a tanker and then uses his technique to the destroyer escorting the tanker. After learning that Richardson plans to disobey orders and enter the Bungo Straits to sink the destroyer that had sunk his ship even though the straits are viewed as a graveyard, the crew is on the verge of mutiny, but Bledsoe remains loyal. When a trap fails to destroy the Japanese destroyer, Richardson is injured during a heavy depth-charge attack. Bledsoe assumes command but resolves to end the threat posed by the destroyer and returns for a climatic showdown. The movie’s greatest strength is its amazing technical detail because it was written by an ex-submariner. In fact, the sub’s interiors are far more cramped than the usual submarines made by the Hollywood studios because it was actually filmed on a sub loaned by the Navy. There is a great scene where a message spreads through every tiny compartment of the sub. Despite the impressive technical detail, the script made numerous alterations to the plot of the book. 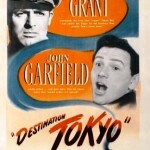 If it seems strange that Richardson and part of the crew survived and were not captured by the Japanese that is because the script changed that part of the story. In the original book, Richardson was ashore with a broken leg when the sub was sunk with all hands by the Japanese destroyer. However, the movie does not mention that American subs were handicapped by unbelievably ineffective torpedoes, and repeatedly failed to sink enemy ships in 1942. The torpedoes ran too deep, often going underneath the enemy ship. After a torrent of complaints from frustrated submarine captains, the Navy finally introduced a proper depth control device in the fall of 1942. Although torpedoes finally started hitting enemy ships, another problem appeared. The magnetic exploder proved to be too sensitive, detonating fifty feet away from the target. When furious submarine commanders deactivated the magnetic exploder, relying on the simpler contact pistol, they found that many of the torpedoes would not explode because the firing pin of the contact pistol hit with too little force to cause detonation. 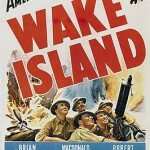 The majority of the problems had been ironed out by the fall of 1943, but the production relied on the Navy’s active cooperation, including the loan of a submarine, so this issue was ignored by the film. The filming process was not smooth. Gable and Lancaster did not get along, and Gable refused to film a scene when Lancaster’s character took control of the sub, claiming that it would ruin the image that he had built through his career. Gable only relented after the screenwriter suggested that Gable’s character would be injured, so he would be physically unable to command the submarine. New issues appeared during the post-production phase. 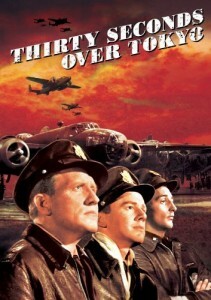 When Lancaster and producer James Hill decided to cut the film themselves after continuous battles over the script with director Robert Wise, he quit. It is Don Rickles’ first screen role, I have never seen him that restrained. The situation never happened but it is still a good movie with a remarkably tight script. Aside from a little griping among the crew, the film consists of drills, arguments over the plan, and very tense action scenes. I read the book twice when I was much younger and it was one of my favorites. The movie is not one of my favorites. It is #79 on the Greatest 100 and does not deserve to be in the top 100. You are right about the interior set and the routines being outstanding, but tactically the film makes a mockery of submarine tactics. Much that happens is plainly ridiculous, especially the sub vs. sub action. The acting is a strength and perhaps the bad blood between the leads added to the tension. One reason why Lancaster did not like Gable was Gable insisted on a 9 to 5 work schedule and when the clock struck 5 he was out of there. Budget be damned. The film also has an alarmingly high rate of sub movie clichés (6 of my 9 clichés). There is no denying the ridiculousness of the submarine tactics, they are pretty hard to take. Gable was old school, and his rigid work schedule must have driven Lancaster crazy, since he was funding the film. I don’t think it should be in the top 100, and it is yet another decision that is strange. How large was the committee that actually drafted the list? Six people were on the committee. A military historian, a teacher at on eof the military academies, the editor of Armchair General, an expert on international culture, two critics, and a cinema expert. Pretty well-rounded I would say. I would theorize that some of the head-scratching inclusions on the list were due to one of the six insisting on it. The committee sounds good, aside from the expert on international culture. I suspect that some of the head-scratchers are due to the judges’ fond memories of movies they had seen decades ago, and have not re-watched. Great historical background information. Thank you. It amazes me how Gable refused to shoot a scene. Talk about ego. Didn’t he read the screenplay before shooting began? I think the tension between Gable and Lancaster had a positive impact on their performance. The tension between them is what makes the film great.